REEport is the “Research, Education, and Extension Project Online Reporting Tool.” This was a great team effort between the Barquin team and the NIFA Federal team. 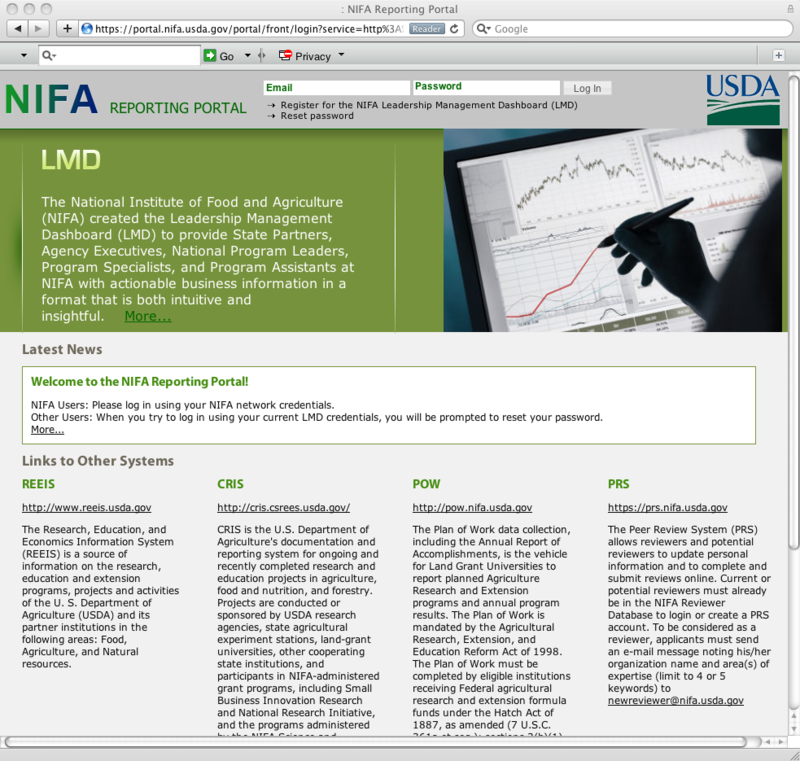 New NIFA Reporting Portal Goes Live! We are finally on our way with a centralized open-source reporting portal for the National Institute of Food and Agriculture (NIFA). The new portal will provide a common authentication and authorization portal for all major reporting applications for NIFA. The goal for 2011 is to migrate the remaining features in Oracle Portal to the new infrastructure as we add additional capabilities. I will steal the saying that “It takes a village” and apply it to our Barquin team. We have had contributions from a number of great developers on this journey. We began the march to an open source version of LMD with the help of Tom Locke (father of Hobo) and Marcel Giorgi, who started building our Mondrian DSL written in Ruby, Rails, and Hobo, and kicked the tires on the InfoBright columnar database engine for MySQL. Bryan Larsen came on board and has contributed his Rails and Hobo expertise to all we have done, including being key on the NIFA Portal end. Gustav Paul and Angus Miller continued building and enhancing the open source portion of LMD 4.0, with the deep subject matter expertise and database design skills of Edmund Vergel de Dios, who has been the development lead for LMD since 2007 and REEIS since 2003, and Chris Woody, who is our key CRIS developer and also a key contributor to LMD and REEIS. 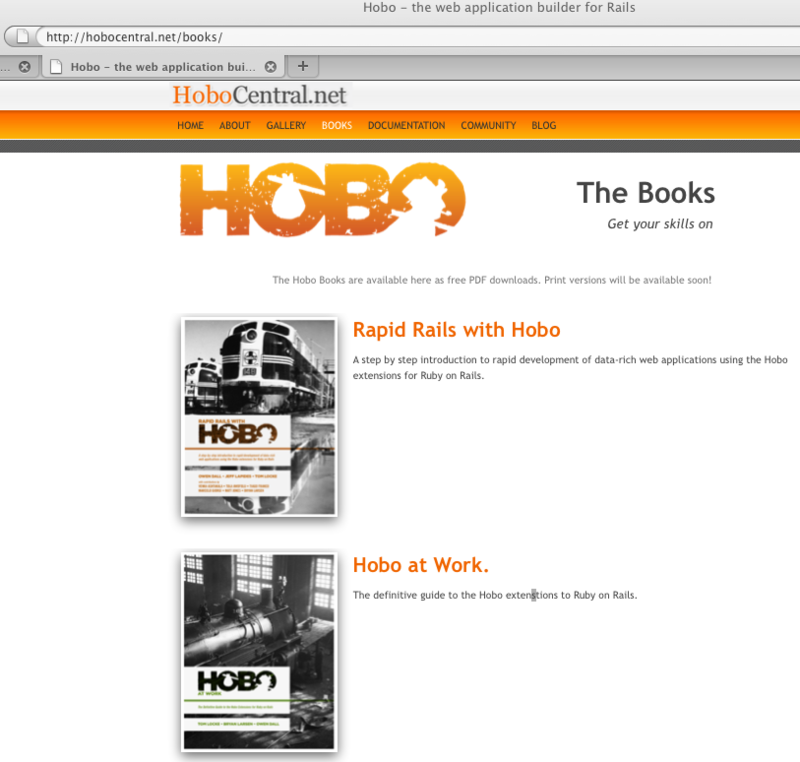 Or newest addition to our software engineering team, Jack Compton, has been invaluable as our on-site Rails Guy. We threw Hobo and The Kitchen Sink at him and he just came back for more. Of course developers are only one part of the equation. Ishita Yameen has been key as our seasoned Program Manager and Project Coordinator. She has made The Trains Run On Time. Michelle Mascarenhas has a long history at NIFA, and her expertise in the many source systems feeding LMD, and expertise in drilling down on requirements is unique. She also designed the suite of tests, and, with Anthony Prashanth, did much of the heaving lifting on testing and QA. Irina Gotman took time from her Java work to put her energy and focus to help Michelle and Anthony with a chunk of the 650 tests. We are very grateful to the NIFA CIO, Michel Desbois, Applications Director Dennis Unglesbee, LMD Project Manager Joe Barbano, and NIFA Portal Project Manager John Mingee. Under their leadership NIFA has become a open source and agile development innovator in the Federal arena. There is a great collaborative and entrepreneurial spirit at NIFA that energizes our team members to give their very best every day. We are currently looking for a publisher for enhanced print versions. Subject: New REEIS Web site featured on Federal News Radio – Tune in today! ISTM’s Joe Barbano will be featured in an interview on Federal News Radio’s Daily Debrief to discuss the newly updated REEIS Web site and how it adds transparency to government. The interview will be broadcast today at 4:28 p.m. eastern on 1500 AM. Audio from the interview will also be online at http://www.federalnewsradio.com, click on The Daily Debrief on the right side of the page. 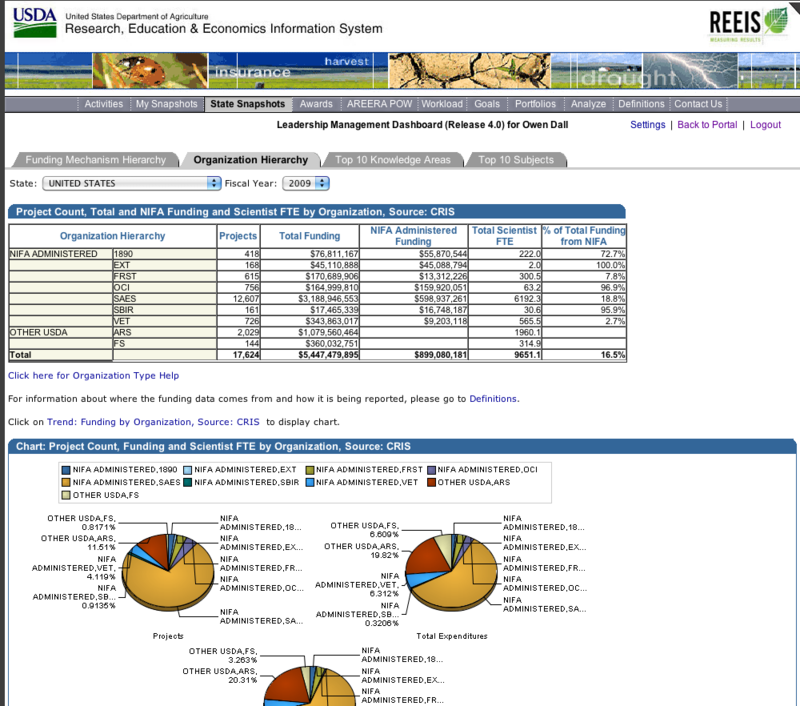 You can read more about the updated REEIS Web site in our newsroom: http://www.csrees.usda.gov/newsroom/news/2009news/04131_reeis.html or check out http://www.reeis.usda.gov. April was a good month. 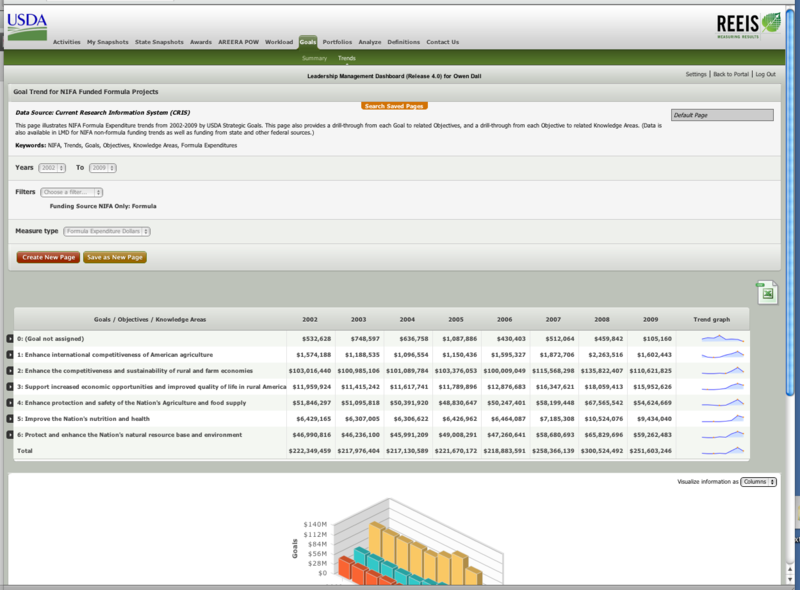 REEIS 5.0 and The Leadership Management Dashboard (LMD) 3.0 were released with great acclaim.